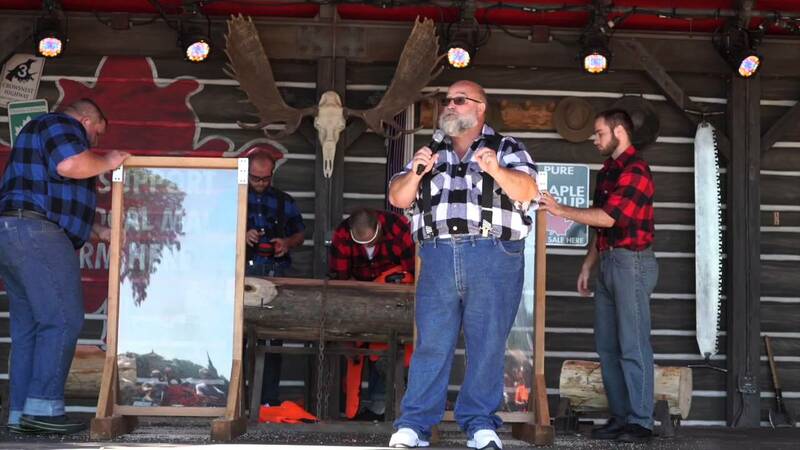 Oct 03, 2014 in "Canadian Lumberjacks"
Preparation and rehearsals are underway at Epcot's Canada Pavilion for the new Canadian Lumberjack Show. A couple of logs are setup on the floor in front of the stage, and behind the red curtains more logs can be seen in various states of being hacked away at. The benches that used to be present in front of the stage have not returned, so at this time it looks like the show will be standing room only. The new show which replaces Off Kilter begins next week.